A bowed chest is also called pectus carinatum. It is a protrusion of the chest over the sternum often described as bird-like. 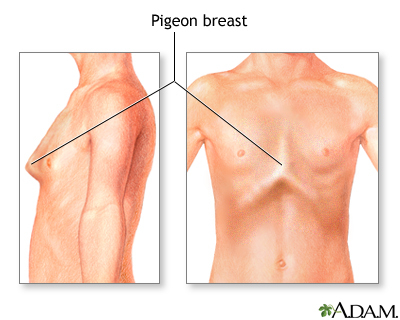 Pectus carinatum is usually only a cosmetic defect but can be associated with other genetic diseases.